Troy Watson, M.D. is a native of Southern California. After graduating from the University of Southern California, he attended Georgetown University Medical School where he obtained his medical degree in 1994. He completed his surgical internship at the University of California, Los Angeles in 1995. Following this Dr. Watson went on to complete his orthopaedic training at Tulane University and Charity Hospital in New Orleans. Dr. Watson then continued his training by completing a fellowship in Foot and Ankle Surgery at the Miller Orthopaedic Clinic in Charlotte, North Carolina. Dr. Watson has made numerous scientific presentations and published articles on disorders of the foot and ankle. Additionally, he continues to educate other orthopaedic surgeons by participating as a faculty member in national conferences pertaining to the foot and ankle. He uses this exceptional educational experience in his own practice to educate his patients. 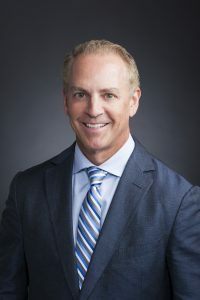 Since starting his practice at Desert Orthopaedic Center, Dr. Watson founded the Foot and Ankle Institute as well as the Las Vegas Orthopaedic Foot and Ankle Fellowship. The primary goals of the Institute are to provide the highest quality care in a compassionate environment with attention to patient education. Dr. Watson treats all conditions of the foot and ankle and has a special interest in sports related injuries of the foot and ankle. After completing four years of medical school and a five year surgical residency, Dr. Watson spent an additional year studying the foot and ankle at the Miller Orthopaedic Clinic in Charlotte, North Carolina. During his year with Miller Orthopaedic Clinic, Dr. Watson worked closely with foot and ankle orthopaedic surgeon Dr. Robert Anderson, a consultant for the NFL’s Green Bay Packers and team physician for the Carolina Panthers. In addition, Dr. Watson trained with orthopaedic foot and ankle surgeon, Hodges Davis, consultant to the North Carolina Dance Theater. This combined exposure gives Dr. Watson exceptional experience in dealing with sports related injuries and on the local level he has consulted for the UNLV Rebels and the Las Vegas Gladiator Arena Football Team. Dr. Watson also treats all disorders of the foot and ankle including trauma, tendon disorders, diabetes, nerve disorders, rheumatoid and osteoarthritis, heel pain, tumors and amputations.